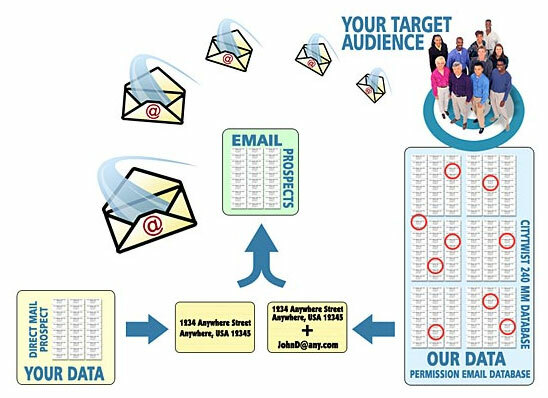 We match your direct mail prospect list to our permission email data base and flag all records where an email match is present. The flagged records are then used to conduct a permission email campaign. Match & Mail enables very specific targeting delivering your message to your prospects.